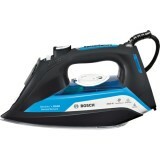 Bosch TDA1070GB Iron FEATURES: PalladiumGlissée soleplate: with steam channels and 3 phase design for good steam distribution and perfect gliding. 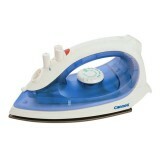 3AntiCalc: triple cleaning function with self-clean, calc'n clean and integrated anti-calc system. .. 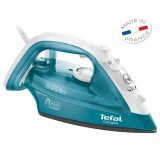 FEATURES: PalladiumGlissée soleplate: with steam channels and 3 phase design for good steam distribution and perfect gliding. 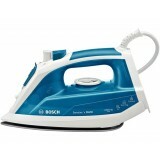 DripStop Steam shot volume: 90 gr/min ​DripStop The DripStop function is a built-in control in ..
Bosch TDA5080GB Steam Iron Secure yet powerful ironing: with SensorSecure and 3000 watts of power. SensorSecure: Device switches itself off automatically when put down, and heats up again quickly when picked up. CeraniumGlissée soleplate with steam channel..
Bosch TDI9020GB Iron Shiny patches are shown the door, while steam keeps going — thanks to AntiShine and the integrated motor for permanent steam. 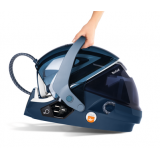 MotorSteam: steam penetrates deeper in to the fabric every time thanks to the integrated motor AntiShine: spec..
Cornell CI-S18 Iron 1000W~1400W Non-stick soleplate Adjustable temperature control knob Anti-drip system ..
Cornell CIS-D26BE Dry Iron 1100W Adjustable temperature control knob Non-stick soleplate Thermostat indicator light .. 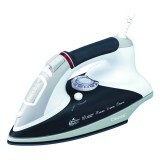 Features 2180w Ceramic soleplate Self-clean function Adjustable temperature control knob Variable steam control Water tank / 300 ml ..
Dry Iron Non- Stick ..
Non-Stick Coating Soleplate Full-Use Button Groove Pilot Lamp Thermal Cut-Off Adjustable Swivel Cord Easy Temperature Setting Heat-Proof Handle with Thumb Rest Sheathed Heater ..
Auto Power Cut off Safety Feature Thermal Fuse High Soleplate 1 Year Local Warranty ..
Power High Performance Ultra Lightweight & Portable Auto Anti- Calc ..
Power High Performance Ultra Lightweight and Portable Auto Anti Calc ..
Easygliss, an outstanding dry iron for perfect results. 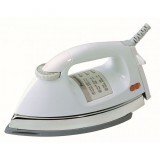 Easygliss provides you a convenient ironing experience thanks to its Durilium Technology soleplate that offers perfect results. 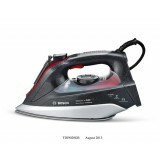 *Among the 200 top-selling irons on a territory of 20 countries, 2010, test c.. 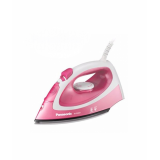 The Perfect Mix of Energy Efficiency and Performance The EcoMaster steam iron cuts down on energy use while delivering outstanding ironing results with flawless glide. The energy-saving Eco Mode reduces energy use up to 25%*, while 1800W of power produces quick results and a 24 g/m.. 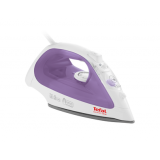 Powerful steam in an intuitive and compact design The Tefal Effectis high-pressure steam station features a new, ultra compact design. 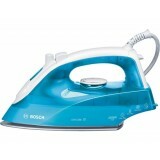 Fast and efficient, it offers up to three times more steam than a classic iron and is ready to go in just two minutes once switched .. 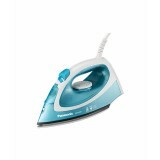 Durable and convenient for easy ironing The Express Easy high-pressure steam generator takes the guess work out of ironing. 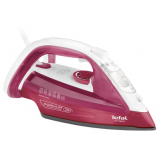 Featuring smart technology, ironing becomes intuitive, with no settings needed and a consistently perfect combination of temperature and steam adapted to your..
Tefal FV3925 EasyGliss Steam Iron Highlights: 2300W Durilium soleplate Fast and effortless ironing Outstanding glide Optimal steam distribution Excellent scratch resistance The fastest and Easiest in Glide &..
Ultra fast and powerful ironing with ultimate garment care Pro Express Care is the high-pressure steam generator that cares for your garments. 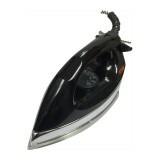 Its double protection brings you peace of mind: the exclusive Protect System changes dirty droplets into steam, preventing stains, while th..
Ultra precise and powerful ironing with ultimate garment care Pro Express X-Pert Care is the high-pressure steam generator that cares for your garments. Its double protection brings you peace of mind: the exclusive Protect System changes dirty droplets into steam, preventing stains.. 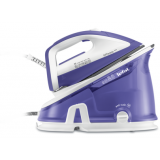 The powerful ironing weapon for large loads Specifically designed for heavy ironing needs, the new Comfortglide rises to the challenge with outstanding performance and a variety of enhanced features. 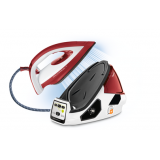 Delivering quick and efficient results, the Durilium® Technology adds two exce..
Ironing made fast and easier Easygliss is equipped with our best in glide Durilium® technology soleplate. 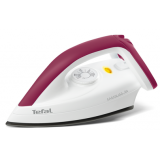 As millions of consumers in the world, you can rely on the Durilium technology invented by Tefal to make your ironing sessions fast and easy. 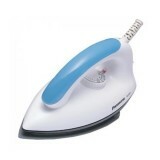 A con..
Absolute protection, ultra easy ironing. 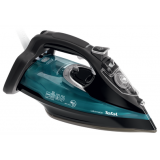 Equipped with Smart Technology, Smart Protect provides one perfect combination of temperature and steam for absolute garment protection and worry-free ironing. 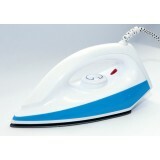 This simple to use steam iron requires no setting, and provides risk-free ironing.. 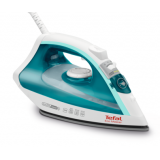 PURE IRONING PERFORMANCE THAT GOES THE DISTANCE Ultimate Anti-Calc puts pure ironing power within reach, with an exclusive calc collector that ensures long-lasting performance to tackle even the most demanding ironing challenges with outstanding results. 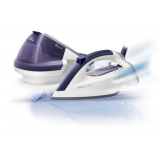 A continuous steam output o..
Super fast glide and high efficiency Combining exceptional glide with high efficiency, Ultragliss puts superior ironing performance at your fingertips. 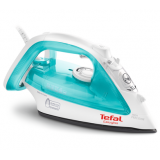 The Durilium® Technology produces a combination of three outstanding features: Tefal’s top glide performance for fast an..